Our aim at Dark Sky Destinations is simple: to share our love of the night sky and show people how to explore and capture its wonders on camera. Our evening courses — held in some of the UK's most spectacular dark sky areas — draw on our decades worth of astrophotography experience and are designed to help you gain the skills and know-how you need to take beautiful astro images. For details of our next course please see the information posted below. Our courses are primarily aimed at DSLR users and are designed to be as friendly and accessible as possible. We'll assume that you know the basics of operating your own camera — such as how to change the exposure and sensitivity settings and adjust the focus of the lens — but when it comes to astrophotography, and our course content, we'll always endeavour to describe & explain the concepts and techniques we discuss as carefully and clearly as we can. From wild camping under a sky full of stars to long summer hikes that finish with an evening admiring the Milky Way, we know that the night sky is often a big part of any outdoor adventure. So why not learn to capture photos of the spectacular celestial sights you see wherever your travels may take you? At our events we'll teach you the skills you need to 'get the shot' in the field, and before long it won't be just your tales of adventure that amaze and enthrall all your friends. Do you use a DSLR camera regularly, but are not sure how to go about using it for night-time astrophotography? 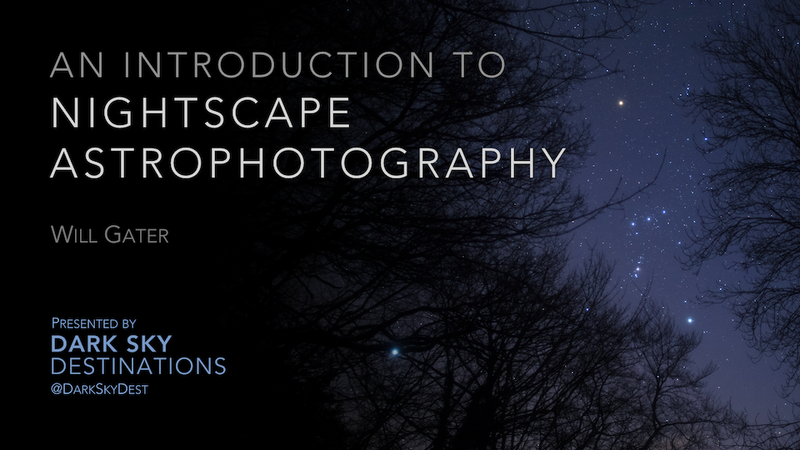 Maybe you are looking to hone your nightscape and wide-field imaging skills? Or perhaps you'd like to learn how to better process your data once you've captured the raw images? If this sounds like you, a Dark Sky Destinations course could be just the thing to guide you as you take those exciting early steps in the world of astrophotography. Why did we choose Exmoor as the location for our astrophotography events? It's simple really. It has some of the darkest night skies you'll find anywhere in the UK – so much so that in 2011 a large part of it was designated as an International Dark Sky Reserve. Will Gater is one of the UK's best-known popularisers of astronomy. 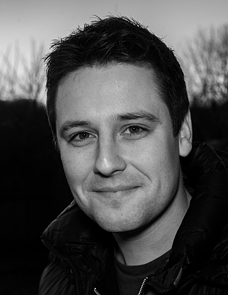 Alongside his work as a journalist and science presenter he is also a seasoned observational astronomer and astrophotographer with over twenty years' experience of observing and photographing the night sky. His astronomical images have appeared in books, magazines and on television all over the world and he has been a judge on the Royal Observatory Greenwich's Astronomy Photographer of the Year competition since its inception in 2009. Originally from Devon, and now living in Somerset, Will is passionate about celebrating the famously dark night skies of Exmoor and Dartmoor, as well as teaching people how to explore for themselves the spectacular celestial scenery above these picturesque earthly landscapes. You can find out more about Will here and browse his portfolio of astrophotography at www.willgaterastrophotography.com. Our first course “An introduction to nightscape astrophotography” was held in Exford, in the heart of Exmoor National Park, on the 8 September 2018 and saw delegates learning how to shoot and process nightscape images. If you’d like to find out when our next event will be held and what topics it will cover keep an eye on this page. Check back soon to see when our next event will be. All content © Dark Sky Destinations. All rights reserved. Privacy and cookies policy.